The Titus Centerfold Raglan Kids zip-hoody is a very stylish and comfortable sweater for the youngsters. 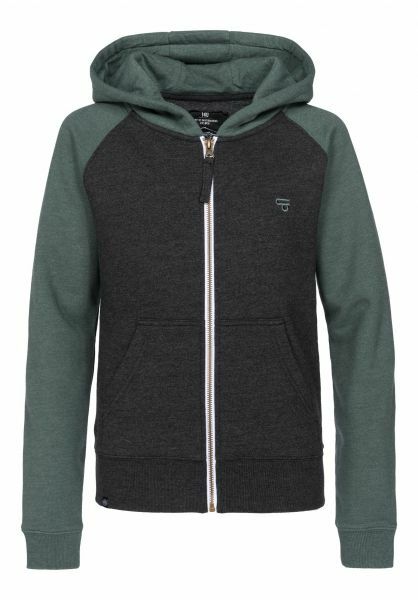 It comes in the same great quality and fashioning as the grown-up version and it has the same stylish design with contrast-colored raglan sleeves and hood, with a throughout zipper, and with a split kangaroo pocket. The elastic rib-knit cuffs offer an excellent fit. A small UP-logo stitch on the chest completes the Centerfold Raglan. Super cool hoodie, my son loves it. Excellent quality for the price. Nice, warm quality fabric. Very comfortable to wear. Very nice quality. Colors look just like the photos! This Zip Hoodie was immediately my new favorite for my boy! My son likes it very much and he wears it all the time. Material is very nice for the great price.